The Senior Meeting – May Bank Holiday Monday. The Club Event – August Bank Holiday Monday. The Greeves factory on Manor Trading estate still stands but no longer manafactures motor bikes, however new ‘Greeves’ motor bikes are now made in Sandon near Chelmsford. with over 130 members now. The track has had major improvement this year (2018) and is non profit making and completely run by volunteers. We have strict noise regulations that only allow us to ride Saturdays and start bikes at 12:00 and switch off at 16:30. My father worked for Invacar and was aware of the development of the Greeves motorcycle but didn’t work on it. 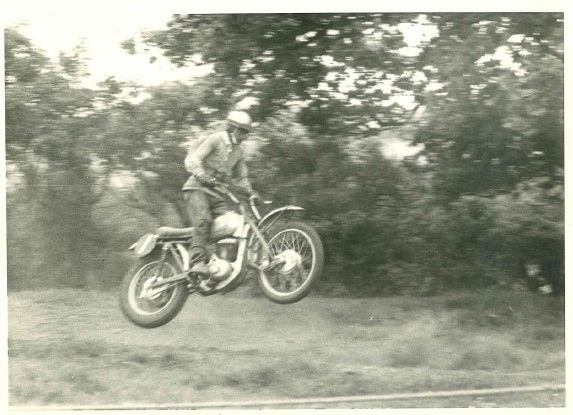 As a young teenager I followed its birth and trials on the works test track( roughly where Parsons Road is now), then later, its rise to fame with Dave Bickers. Old man Derry ‘Cobb was a mad driver in his special, rear loading chariot. 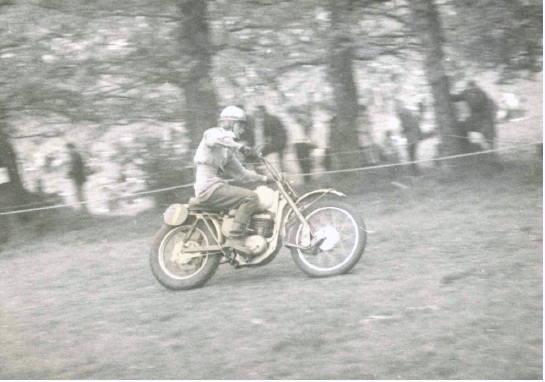 On more than one occasion he came down Church Hill too fast and rolled the contraption on the bottom left hand bend. He’d then lay there, laughing until some-one came to his aid. He certainly enjoyed life. Invacar finally came to an end when, on the advice of Graham Hill the grand-prix driver, the layout of the carriages (single wheel at the front) were deemed inherently dangerous and were banned. 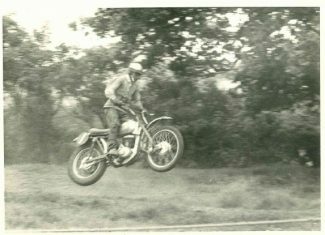 In 1962 at the tender age of fifteen I left school and started work as a trainee storekeeper for Greeves Mototcycles/Invacar Ltd. Initially, I worked on the Manor Trading Estate opposite the main Invacar factory with the Competition unit and the Foundry at the rear. Later, a purpose built stores and Foundry unit were built in Church Road next to E.H.Roberts plant Hire. Bert Greeves lived in a flat above the stores. have fond memories of meeting Dave Bickers, Brian Goss and many others during my time there.